The original take-along bag in addition to Kamen Weave and Starflowers. 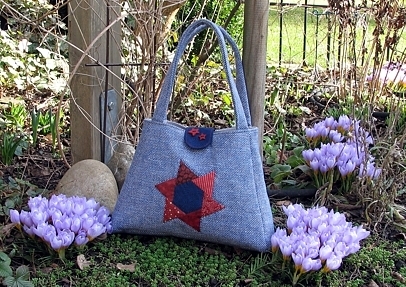 "Louise" is a basic bag pattern with lining and inner pocket. Instructions lead through the complete construction. Templates for main pieces and flap included.